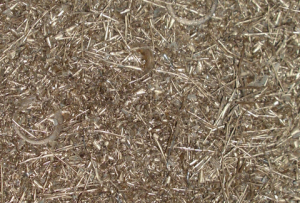 An alloy of copper and zinc, it is one of the most frequently purchased metals. The proportions of copper and zinc are varied to create quite a number of different grades. 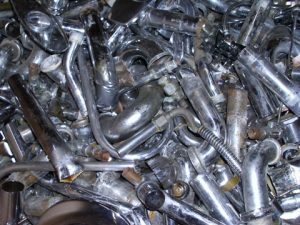 Often, lead, tin or other metals are added to the alloy in small amounts to enhance the machinability of the metal, to assist in further resisting corrosion or to make the alloy harder and easier to forge. 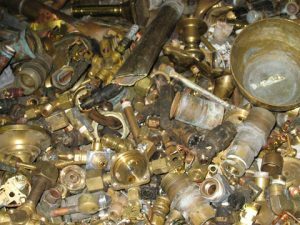 The most common type of brass it is used in plumbing and to make musical instruments, hardware, ornaments, keys and plaques. The brass found in taps and faucets is generally designed for non-corrosive, low pressure applications. It may be chrome plated or housed in plastic or zinc enclosures. 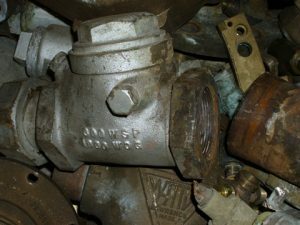 Harder than other brasses, it is used for bushings and liner applications. More reddish in colour due to a higher copper content, it is found as valves, machinery bearings and parts. 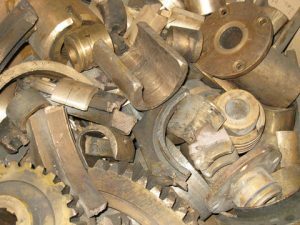 Consist of turnings from various brass alloys. They should be free of aluminum, oil, moisture, iron or other contaminants.